Chucktown Transit is both reliable and affordable. We offers the best taxi cab airport transportation service to the Metro Charleston, SC area. We provide 24/7 taxi service and have been licensed and insured for over 16 years. 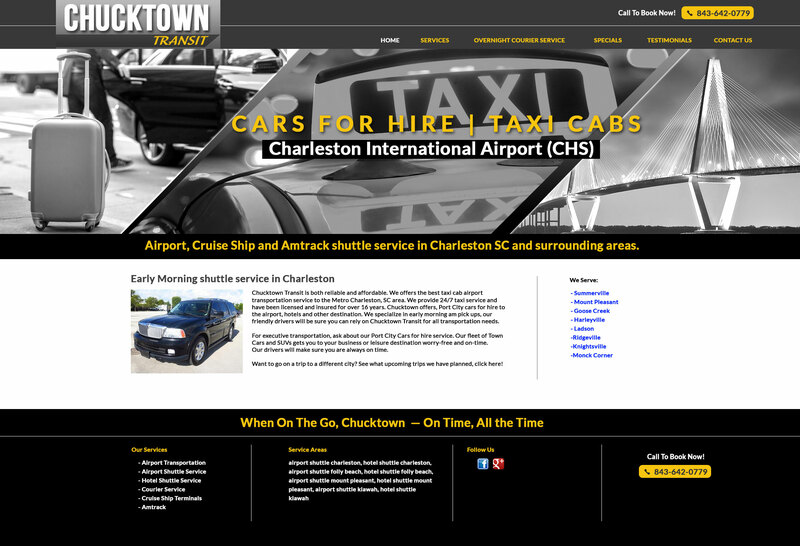 Chucktown offers, Port City cars for hire to the airport, hotels and other destination. We specialize in early morning am pick ups, our friendly drivers will be sure you can rely on Chucktown Transit for all transportation needs. For executive transportation, ask about our Port City Cars for hire service. Our fleet of Town Cars and SUVs gets you to your business or leisure destination worry-free and on-time. Our drivers will make sure you are always on time. Want to go on a trip to a different city? See what upcoming trips we have planned, click here!